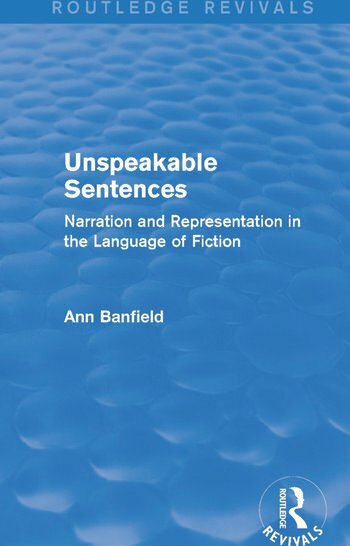 First published in 1982, this title grew from a series of essays on various aspects of narrative style; the result is a finished product that melds literary theory with linguistic methodology. It is argued that, where linguistic theory intersects with literary theory, it is narrative that provides the crucial ‘experiment’ for deciding between a communication and a non-communication theory of language and, by extension, of literature. Chapters discuss such areas as subjectivity in direct and indirect speech, the absence of the narrator, and the development of narrative style. With a detailed introduction to the subject, this reissue will be of value to students of linguistics and literature with a particular interest in narrative style and linguistic theory.